The proposal…the engagement party…the bridal shower…the rehearsal dinner…the wedding ceremony and reception. Molly Joseph Photography can capture all of the special moments in a couple’s journey together. The visual aesthetic of Molly Joseph Photography is modern, artistic and true. “When a couple trusts me with their wedding, I feel an incredible amount of responsibility. My approach to shooting is to try and take the stress out of the moment, to reconnect the couple and to remind them why they’re in love. Those are my favorite moments. When the couple almost forgets that I am there, and are so in love with each other that nothing else matters. That’s when there is magic,” said Owner Molly Bisceglia. For Kelsey and Andrew’s Seabrook Island Weddings oceanfront ceremony and reception at Seabrook Island Club, Molly and her team artfully created images that captured intimate moments: the mother-of-the-bride helping her daughter dress, the mother-of-groom pinning a boutonniere onto her son’s lapel, the groom’s first look at his beautiful bride, the loving exchange of wedding vows, the quiet moment between a husband and wife. 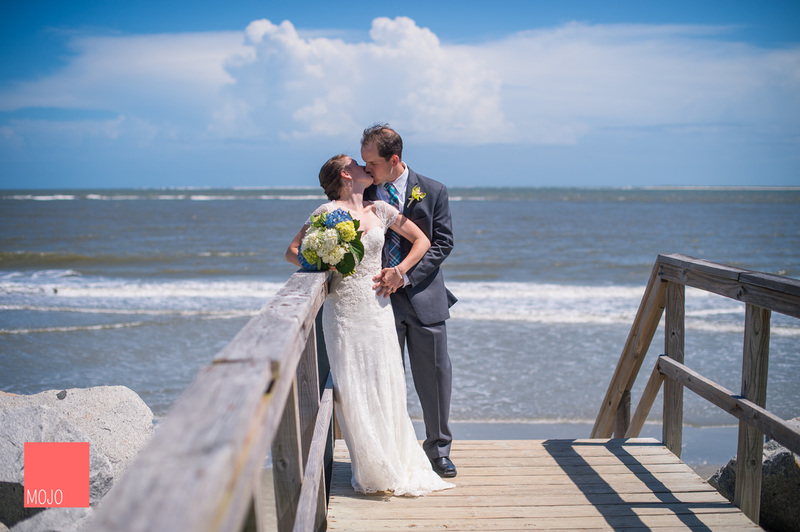 “Shooting at the Seabrook Island Club is a great experience for everyone, including the vendors. It is nice being in a building that was so clearly designed with event and photographers in mind. With totally unforgettable views, the porches are to die for and no matter the size of the guest list, I never feel like I am backed into a corner or a position I don’t want to be in,” said Molly. Molly is happy to customize her wedding photography package to each bride and groom. She also photographs individual and family portraits, professional head shots, and commercial work. Molly Joseph Photography has been featured in The Knot, WeddingWire, A Lowcountry Wedding, Southern Bride and more. To connect with Molly Joseph Photography, please feel free to visit www.mollyjoseph.com, email molly@mollyjoseph.com or call 843.693.4174.